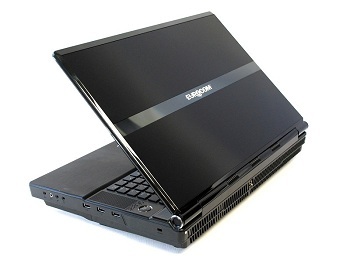 Eurocom Corporation (www.eurocom.com), a developer of long lifespan, fully upgradable Notebooks, high performance Mobile Workstations and Mobile Servers is now supporting NVIDIA Quadro Quad buffering via external display for an immersive and professional 3D experience. Eurocom Notebooks support NVIDIA’s high-end line of mobile GPU’s for the best in professional graphics processing. Quad buffering is a technology for implementing stereoscopic frame rendering in computer graphics. For stereoscopic rendering, each eye must receive a separate image. Quad buffering uses double buffering with a front buffer and back buffer for each eye, totaling four buffers: left front buffer, left back buffer, right front buffer, right back buffer. “For our professional clients using our Mobile Workstations with NVIDIA Quadro GPUs, support for Quad buffered 3D technology gives them a great 3D experience on a mobile super computing platform” explains Mark Bialic, Eurocom President. Eurocom offers Quad buffered stereo support in quad buffered stereo applications with 3D stereoscopic glasses, 3D displays and NVIDIA Quadro high end solutions. The EUROCOM Neptune comes complete with a built in emitter. The 120Hz 3D signal is outputted to an external monitor via DVI-DL (DVI Dual Link) port.